In addition to the existing address geocoding (e.g. street addresses, town and city names, zip code, post codes etc. ), Speedy Route now also fully supports what3words addresses as well. 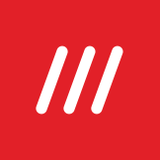 what3words addresses are short memorable three word phrases that pinpoint co-ordinates anywhere in the world without the difficulty of remembering or typing latitude & longitude co-ordinates. w3w addresses are now included on the Export tab, and can also be typed into Location Address text boxes, or Bulk Imported. We are constantly working in the background to improve Speedy Route and regularly apply small changes and improvements to the website. Following our recent migration to Mapbox services we have made several improvements to the location Address Resolution (also known as address geocoding) within Speedy Route that provides the 'confirmed' addresses as you manually type in or bulk import addresses. We have made improvements in Speedy Route's infrastructure over and above that provided to us by Mapbox, so that the address resolution should be quicker and more reliable. You should now see extra suggestions in the dropdown list of matching addresses as you type, and Bulk Import should be improved as well. As always, we're happy to hear any feedback from our customers!